Home » Cool Smartphone Hacks To Create Great Pictures! We all know everyone loves a fun or creative photo on social media. Creativity towards your business and business products is just great marketing. That leaves us with the thought, how do you do some of those creative photos without purchasing all that expensive equipment? 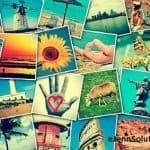 Well, leave it to eJenn Solutions to find a few tricks to make your photos creative and fun with just your smartphone! Check out the following video from the folks at COOPH sharing their Smartphone Photography Hacks to make your social media pictures that much more fun and creative!